Turnkey Glass Packaging Solutions by Decotech Inc.
Decotech is more than just the industry leader when it comes to the decoration of glass packaging for the high-end fragrance, cosmetic, tabletop and giftware markets. At Decotech, we also specialize in One-Stop-Shop glass sourcing, manufacturing, decorating and management solutions to make our customers’ packaging lives easier. 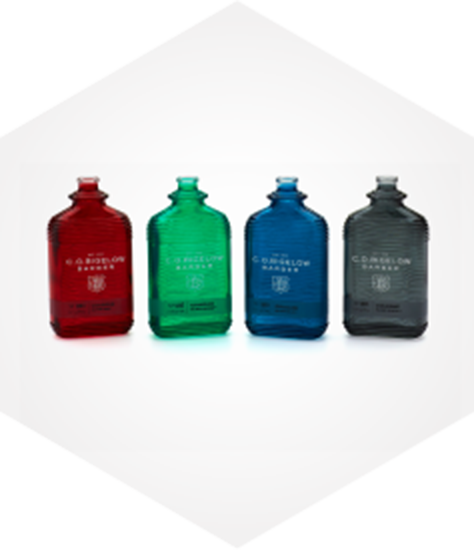 We are your all-in-one glass supplier and decorator—the only name you need to know for all of your glass packaging needs. Decotech’s clients enjoy the advantage of placing an order for glass and decoration at the same time and letting us do the heavy lifting. Through our global network, we coordinate the manufacturing and logistics of our clients’ glassware at the most appropriate glassmaking facility no matter where in the world that should be. Because we offer an end-to-end solution, from glass sourcing to decoration, our clients benefit from dramatically shortened lead-times and component inventory reductions that were unheard of years ago. Our customers don’t worry about vendor component delays or traveling to various suppliers to complete their glass packaging projects. Once the client’s glass engineering and decoration decisions are completed, Decotech will take over expediting and coordinating the production and acquisition of the glass bottle or container selected for decoration. Because Decotech is responsible for the glass bottle purchases on behalf of our clients, we have complete and total visibility of where the production glass is at all times. We are never caught by surprise if glass production is delayed, or a strike closed the shipping ports in the country of origin. Because Decotech is aware of the delays immediately, we are able to rapidly adjust our glass decoration schedule to adapt to the new information and work to ensure that your decorated bottles still ship, complete and on time. Supplier quality disagreements are a thing of the past. If you select Decotech to take responsibility for your full glass supply and management needs, we make it our job to deal with glass quality issues on your behalf. We work hard to fix problems, so you don’t have to. Speed-to-Market is the name of the game in the glass decoration business, and Decotech is a market leader in lead-time reduction. The key to our success is the trust that our clients place in us to manage all their glass production, purchasing, logistics and quality needs. By authorizing Decotech to manufacture and store their long lead-time glass components, our clients are protected from going out of stock and can also rapidly chase a great sell-through with quick inventory replenishment of made-to-order decorated glass bottles. 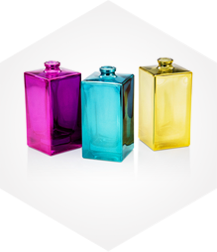 At Decotech, we are committed to helping clients shorten total lead times on decorated glass bottles and containers because the shorter your lead time is, the more you can sell, and the less complex your inventory management system needs to be. Learn more about the benefits of partnering with Decotech for your glass packaging decoration needs. In our world of made-to-order decorated glass packages, being out of stock is a real danger for our clients. With Decotech, managing your bare glass component inventory, being out of stock is a thing of the past. Decotech is the only independent decorator in the world offering the service or manufacturing, purchasing and storing your bare glass in our own inventory until you call for the specific glass decoration needed in a quick turnaround. The most effective way for clients to reduce their own inventory is to reduce supplier lead times, and the way to reduce your lead times on decorated glass bottles and containers is to let Decotech manage and hold your pre-positioned inventory. Contact Decotech to find out more about our expertise in this area and how we can help you manage your inventory.